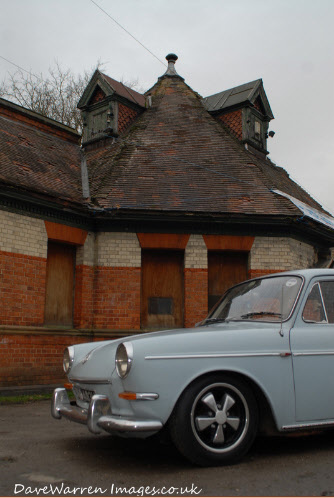 Volkswagen came to the Baths. It was a very interesting day although cold. 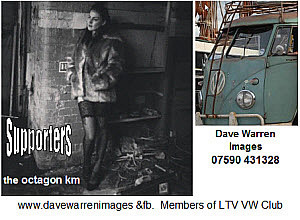 Model Gemma who posed for the photographer Dave Warren. 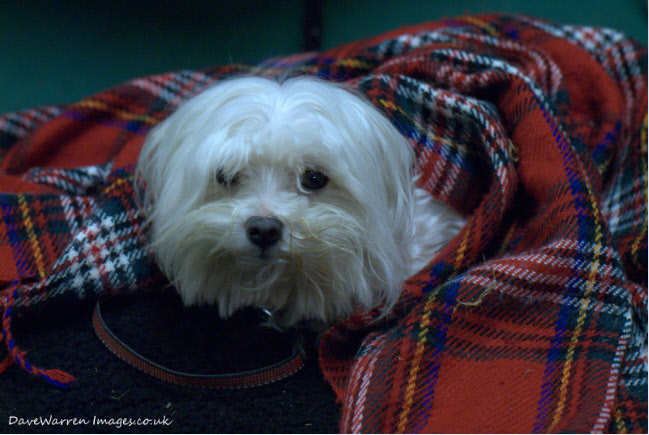 She was extremely brave bearing up to the icy temperatures. Dave took some great pictures. He is very well known amongst Volkswagen enthusiasts. 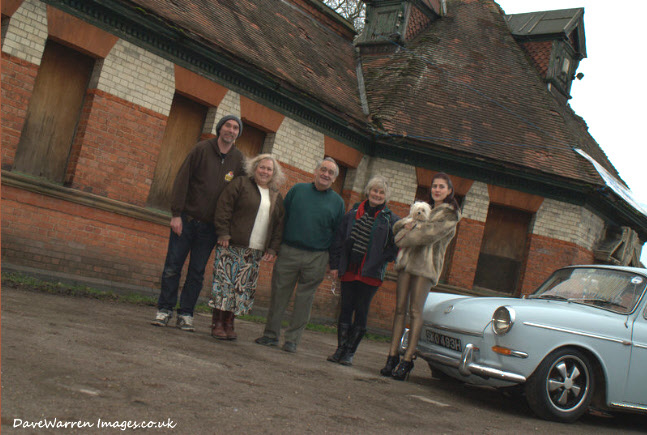 Amongst many other photographic subjects he especially specialises in classic car photography. 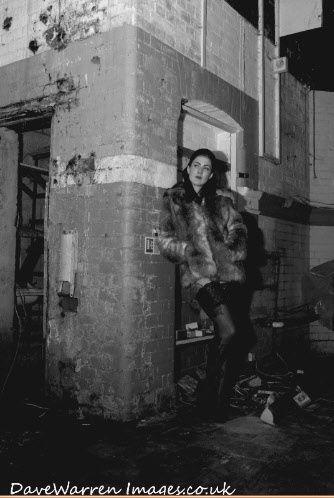 Gemma huddled into a fur coat which supplied some warmth above the waistline, but… totally escaped below! 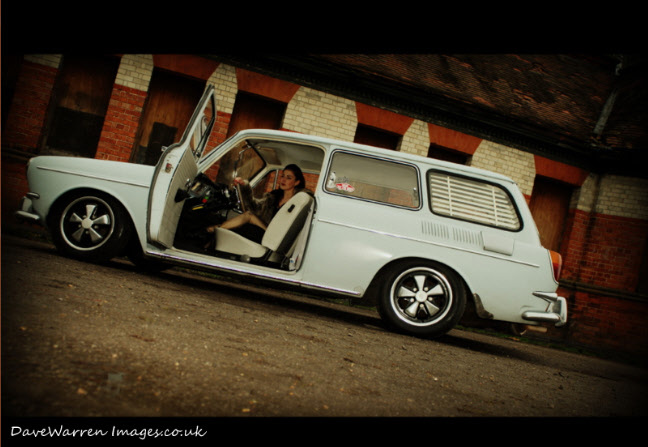 She snuggled for a second or two inside the Volkswagen classic of the day – just long enough for a pose and the click of the camera. Brrh! plus a few more takes inside and out. A cup of steaming hot tea and she was ready again. Gemma modelled in various areas of the pool. The rusty and old contrasted with beauty at its most magnificent. Mandi Simms in charge of the team looked after us all, especially little Amos. Mandi is renowned for her fund raising especially for the British Heart Foundation – her day job. She equally shows support of efforts of campaigners endeavouring to save their lidos and baths. Her particular interest lay with the Saltdean Lido. It’s lovely that for this Lido, it’s now all good news. In the background Mandi helped the Campaigners, supplying much information and imparting her knowledge regarding contacts. Mandi spread the word around, but the laws of action and reaction were extremely difficult. The KM Campaigners themselves had their hands tied for any potential green light. 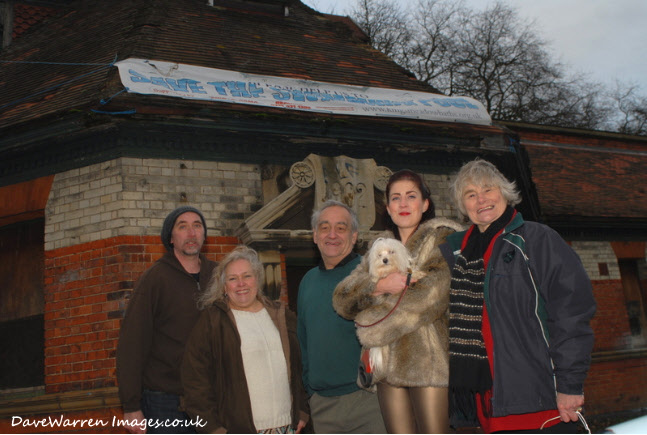 Although living in London, Mandy travelled to Reading again to support the Campaigners Water Feast in January 2012. 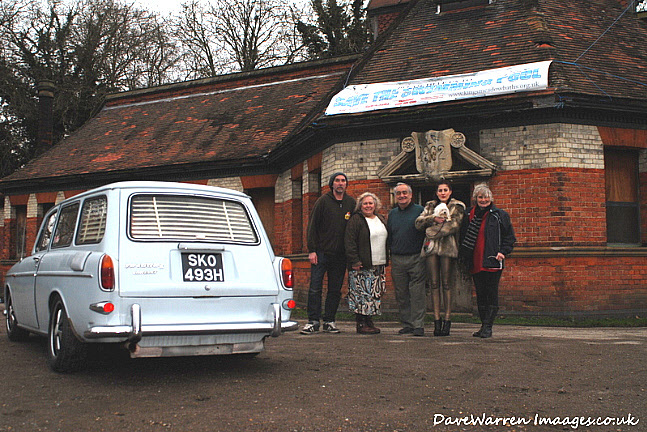 The Volkwagen Club invited Campaigners to attend one of their “Dubs in the Park” shows in 2012. They set up a table. There was so much interest. 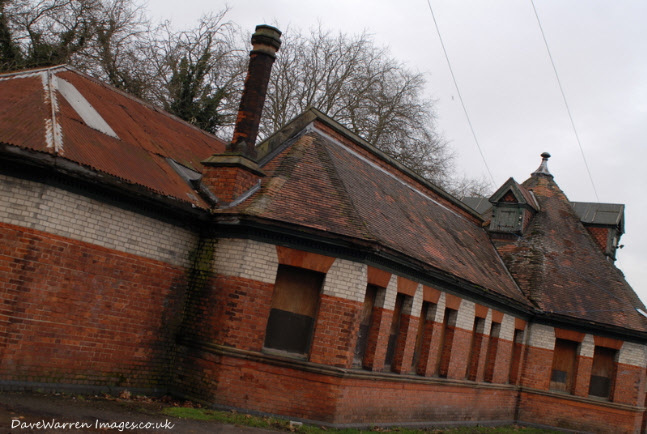 Within the surroundings of beautiful Easthampstead Park and House and the hubbub of the occasion, it was a delightful and invaluable opportunity to talk about the Baths. The Volkswagen Club magazine devoted two pages on the cause of the Campaign, and even featured “yours truly” Volkswagen owned 30 years ago. Pictures of a certain young family camping with their Volkswagen and enjoying the freedom of the moment, illustrated the joy of owning a Volkwagen! There was even research to see if it was still on the road!